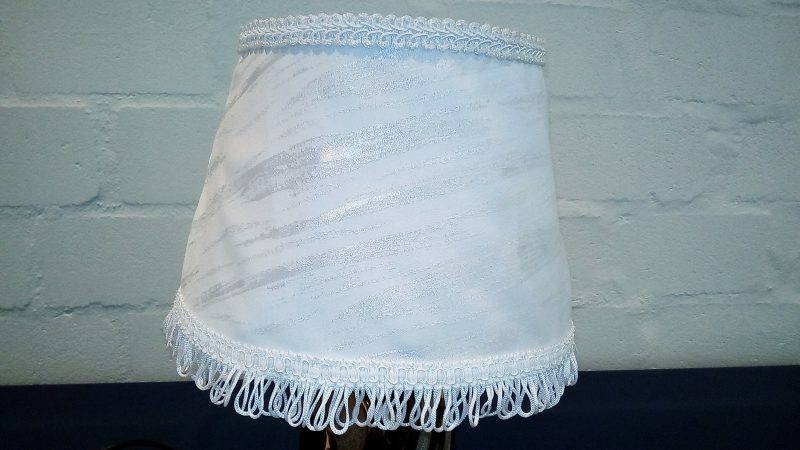 I love making loose covers for my lampshades so that I can match them perfectly to the decor in a room. By making a loose cover, I can easily pull it off, wash it and replace it with a clean cover. 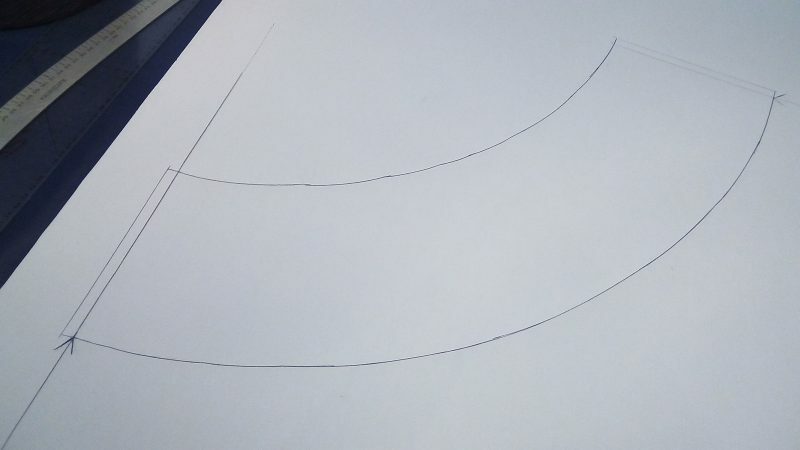 Step 1: Lay a sheet of paper on a table and draw a vertical line. 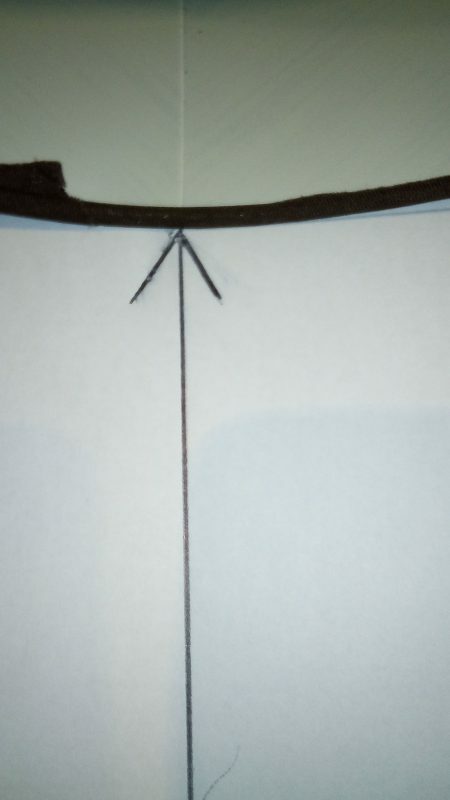 Place the seam of the lampshade on the line as above. 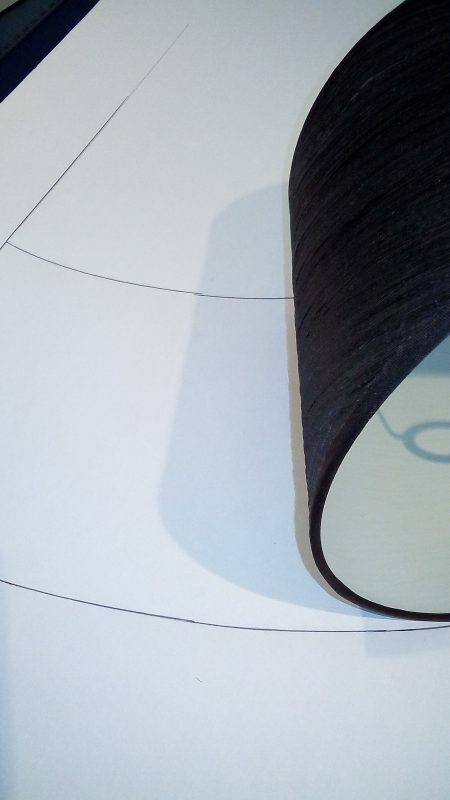 Step 2: Starting by the seam, slowly roll the lampshade over the paper while tracing the top and bottom of the frame with the pen or pencil. 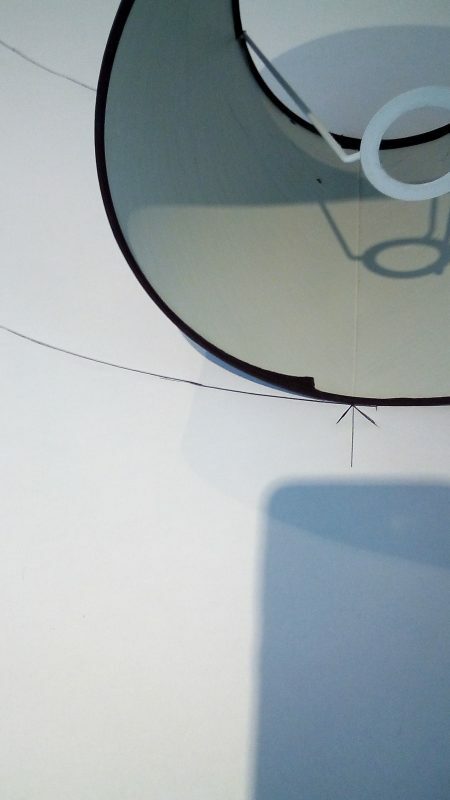 Continue to roll and trace, until you reach the seam of the frame again and mark this point. Step 3: Give your pattern seam allowance at both ends as indicated and cut it out. 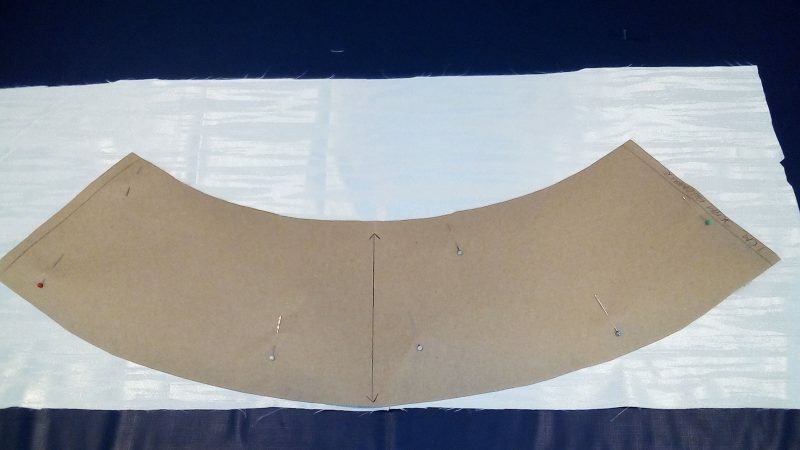 Step 4: Pin the pattern to the fabric and cut it out. Overlock the raw edges of the fabric. Step 5: Pin and tack the braiding to the fabric edges. Machine stitch the braiding in place. 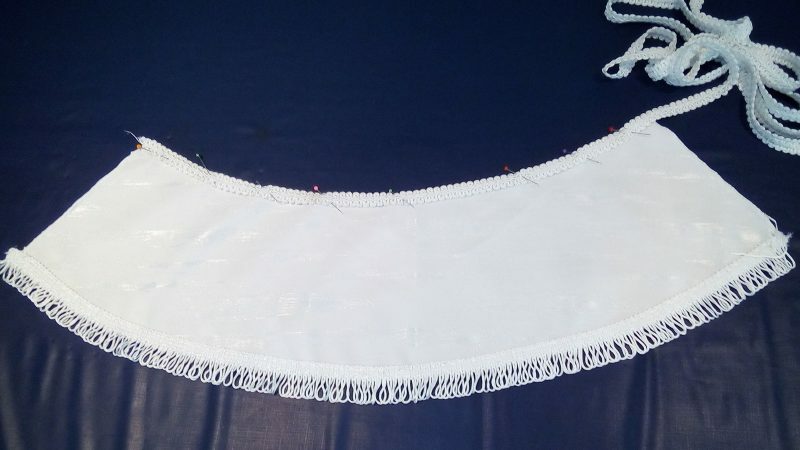 With right sides together, pin and machine stitch the side seams together. Press the lampshade cover.